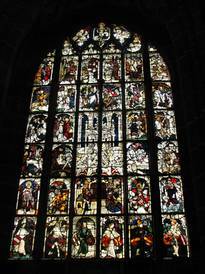 For the preservation of the Imperial Window in the Nuremberg church St. Lorenz (completed in 2006) , the surface temperature on the medieval glass paintings – and with that, also the stress load on the paint layers – was to be reduced. An additional objective in this context was the protection of the conservation materials applied in the course of this work from the damaging radiation in the visible as well as invisible light. Since the typical options for radiation protection in use up to this point in time could not be individually co-ordinated to the particular object to be protected, the glass conservator Martha Hör and the architect Alexandra Fritsch (with the involvement of Dr. Susanne Fischer and Dr. Matthias Exner from the vom Bavarian State Office for Monument Conservation) proposed the engineering of a new UV- and IR-protective glazing. 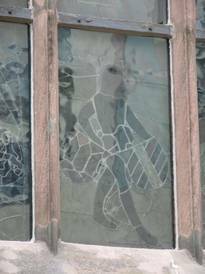 This glazing was developed by the engineer Rolf Sandner (Bureau of Freelance Engineers) and implemented in co-operation with us. The high-tech glass enables precise filtering of the UV, VIS, and IR radiation with a simultaneously very slight colour change in the light which is opaque and no change in the reflecting light. 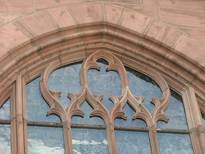 For the imperial window, a single-pane glazing was used, which also enabled the complex cutting to size just as for the current custom window, without difficulty. 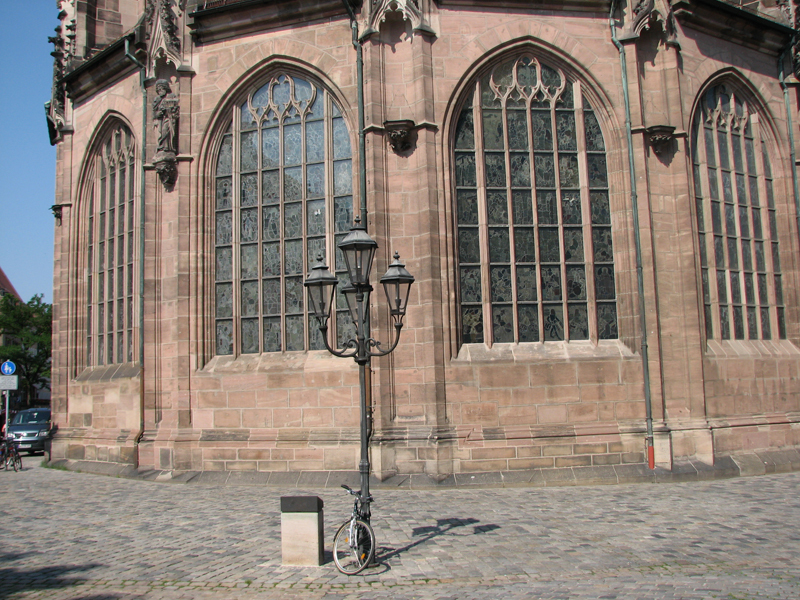 The first measurements of the surface temperatures of the historic panes in the extremely hot month of July 2006 indicated that even in non-soiled protective glass, the surface temperature of the glass paintings (compared to other windows with typical protective glazing) was on average 10°C lower. 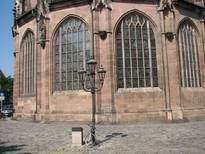 For dark windows, even a decrease of up to 14°C was verified. These data were confirmed in an analysis performed by the engineering firm Dr. Seele. 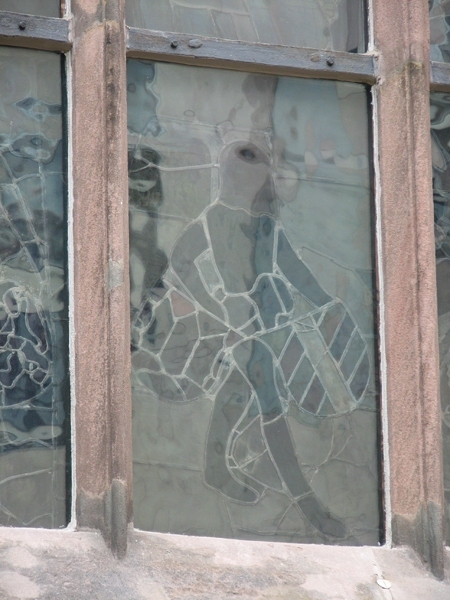 After the installation of the protective glazing, the Imperial Window (in terms of its appearance on the interior and exterior) seems nearly unchanged: Reflection and "transparency" seem unchanged. The colour reproduction and colour brilliance of the glass painting are not impeded by the protective glazing. 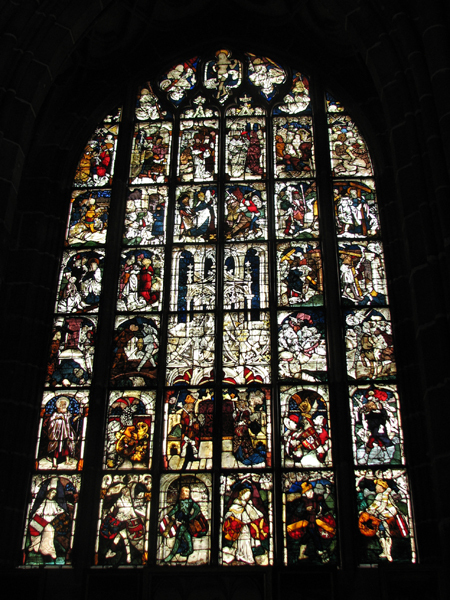 Interior view of the Imperial Window at St. Lorenz in Nuremberg; with our, protective glazing, primarily the preservation materials should be protected. 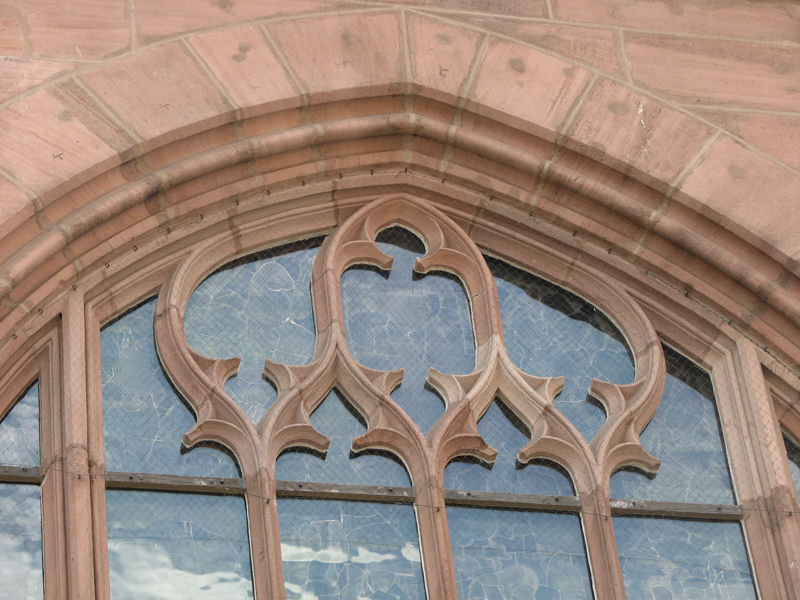 Exterior view of the Imperial Window (r.), compare to the other windows. With the single-pane structure, also complicated pane shapes can be manufactured as custom products.